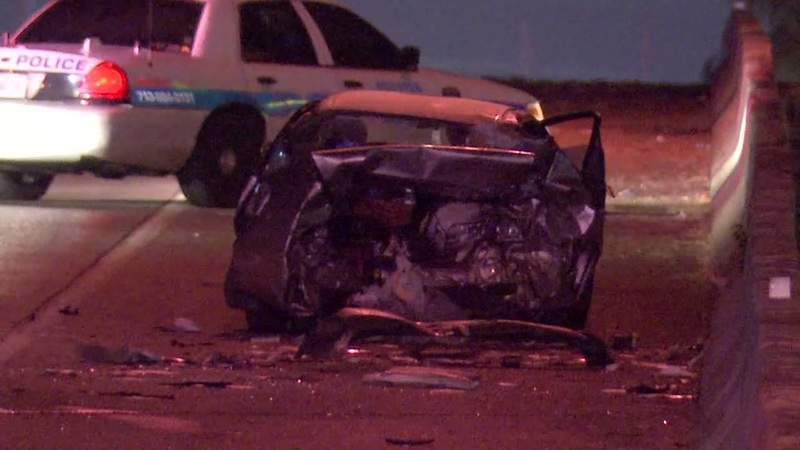 HOUSTON (KTRK) -- A driver is dead after they slammed into the back of a stalled vehicle on the Gulf Freeway. The crash shut down the highway's inbound lanes at Monroe overnight while police investigated the crash. HPD says someone in a Nissan Altima crashed into the back of a Toyota Corolla that was stopped on the shoulder. Sgt. James Roque says the man who struck the Corolla died at the scene. Two adults were outside the Corolla when it was struck. Three children meantime were inside the vehicle. All five were taken to Memorial Hermann Hospital with minor injuries, and will survive.